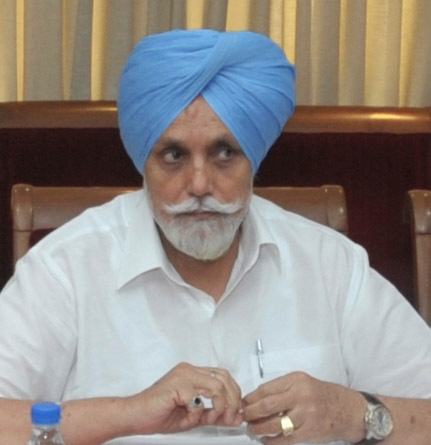 The Punjab Government has taken elaborate flood control measures to prevent any potential threat of floods in the ensuing monsoon season.Disclosing this here today, Janmeja Singh Sekhon, Irrigation Minister, said that strict instructions have been issued to all the pisions to ensure completion of strengthening of the embankments of rivers by May 31. They have been also asked to clean, declog and repair all the canals and drains by June 15. He said that to properly monitor the execution of flood control measures committees have been constituted under the supervision of Deputy Commissioners. Sekhon said that separate committees have been formed under the Deputy Commissioners that would also assess the potential threat from the main rivers. He said that the fortification of the embankments of the main rivers would also be the responsibility of these committees. Sekhon said that the strengthening of the embankments of the rivers would be completed by May 31, whereas the drains would be repaired and cleaned by June 15.He further said that special strategy had also been chalked out to solve the problem of water-logging in the areas, especially in Sri Muktsar Sahib, Gidderbaha and Faridkot.Irrigation Minister, while describing the history of floods in the state, said that the main rivers of the Punjab like; Beas, Ravi and Sutlej are the main source of flood during the monsoon season. He said that it is a stark reality that although the water of these main rivers are shared with another states, but Punjab was only state, which has to face the fury of floods during the rainy season.Lashing at the congress led UPA Government; Sekhon said that it has always meted-out a biased approach against the genuine demands of Punjab. Accusing UPA Government, he said that the Punjab Government has urged the UPA Government for the package of Rs. 330 crore to maintain the draining system and other related projects.